Bit of a sad day today as we announce that MyBEER the app won't be continuing. The MyBEER community will live on at http://www.mybeer.co.za from tomorrow. MyBEER was always an experiment to see what generating conversation across the beer vertical would be like. It's been amazing fun and an honour to work with the teams at SAB, Quirk & Prezence to make this project happen. Sometimes, these things just end. That's business. On a positive note, this does allow myself and team to concentrate on Real Time Wine - and we're hopefully cooking up something really interesting in this regard. Let's hope the stars align. Here are the stats from the beer journey. It's been grand! Here's the statement from SAB. Please check out the new MyBEER community (as of 1 October). Instead of an app, there'll be a nifty way to earn points by tweeting with the #BeerHeroes hash tag. 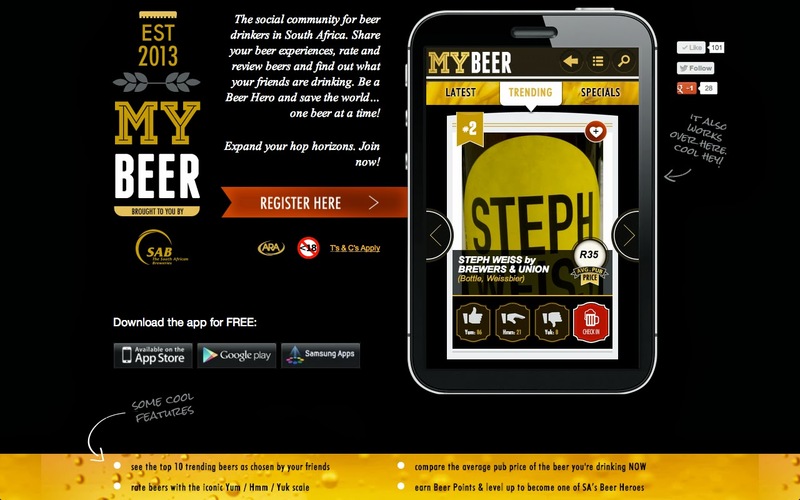 The South African Breweries wishes to announce that the pilot phase of its MyBeer app has reached its conclusion. Launched in Feb 2013, to date more than 1 300 people have registered, writing over 3000 reviews of 788 beers from 334 breweries around the world. 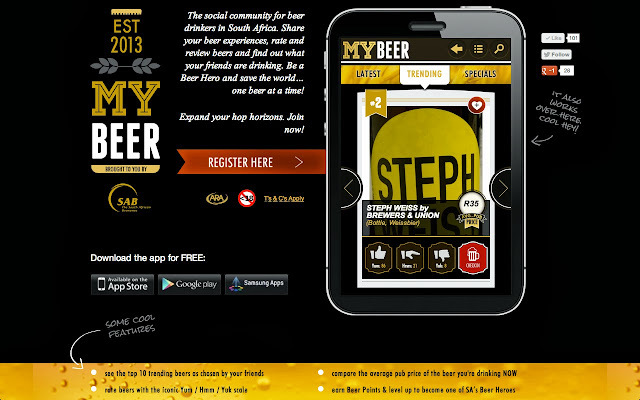 From 30 September 2013, users can log into www.mybeer.co.za to be part of the BeerHeroes Club and will continue to earn points for sharing their beer experiences and taking part in events. Full details of the BeerHeroes Club will be available on the website. SAB would like to thank our beer heroes, for supporting the cause and spreading the love of all things beer. Watch out for special promotions, competitions or invitations to one of our gatherings. For any queries, contact Jessica Yellin on jessica.yellin@za.sabmiller.com.